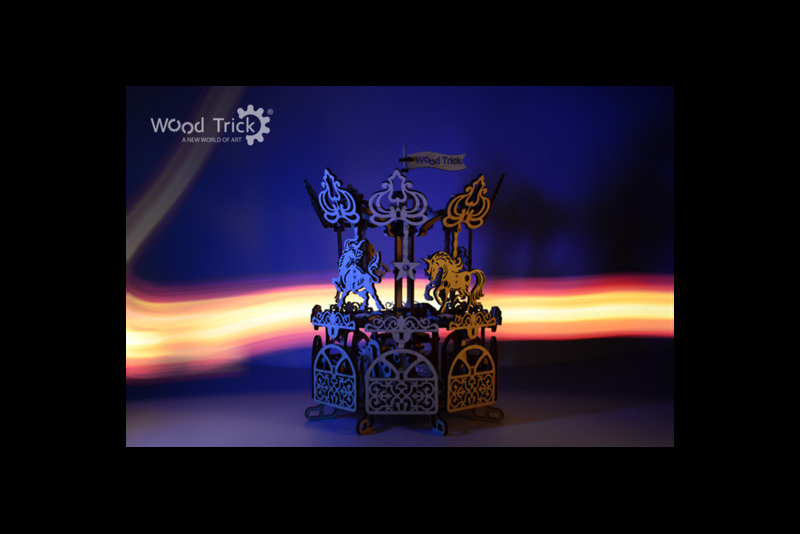 購買此產品，您可以獲得 21 點數. 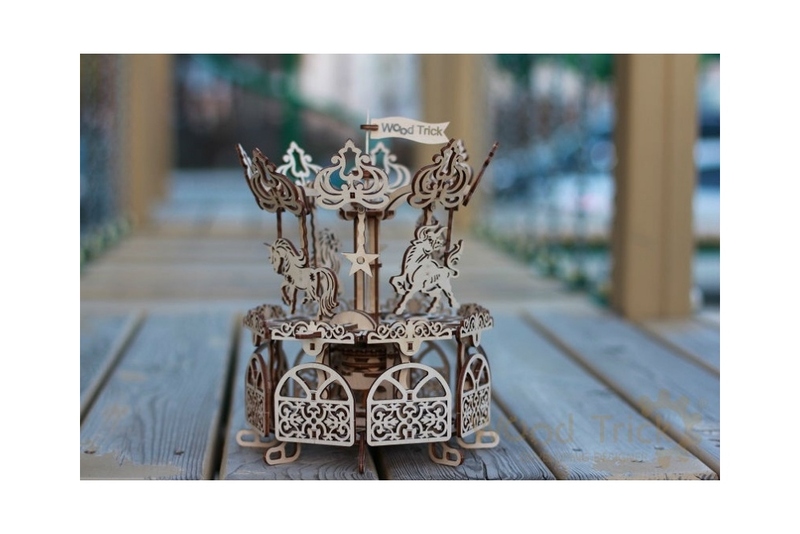 您的購物車總額 21 點數 可以轉換成優惠券 NT$ 21. 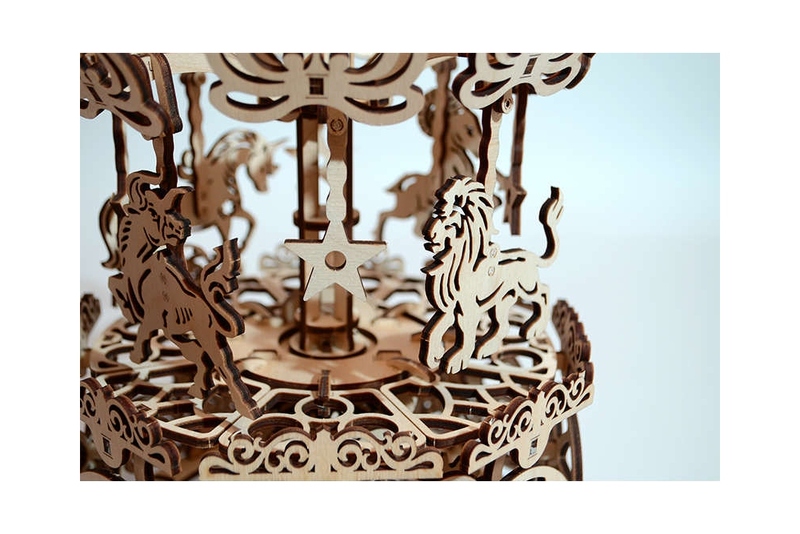 The Carousel, also called the Merry-Go-Round, is a hallmark of childhood. 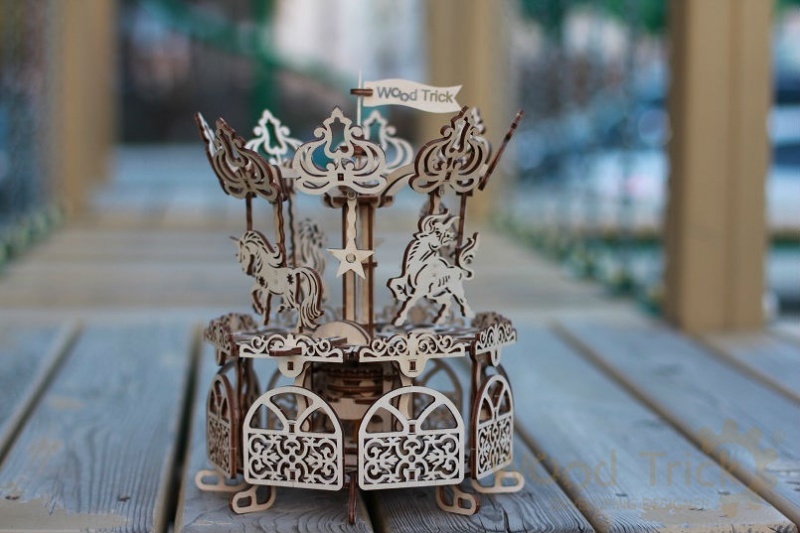 The beauty and simplicity of horses going around in a circle has dazzled children for years, and remains a fond memory in the hearts of many adults. 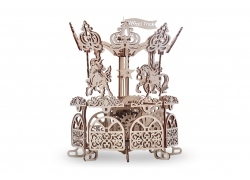 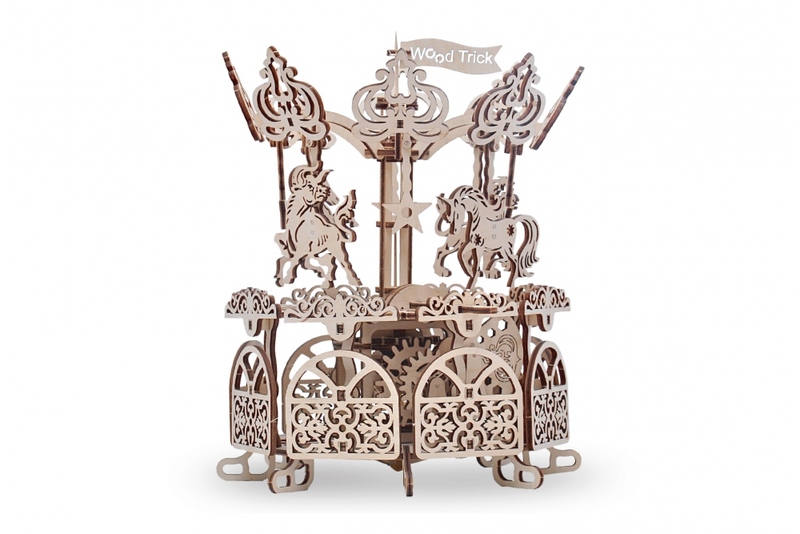 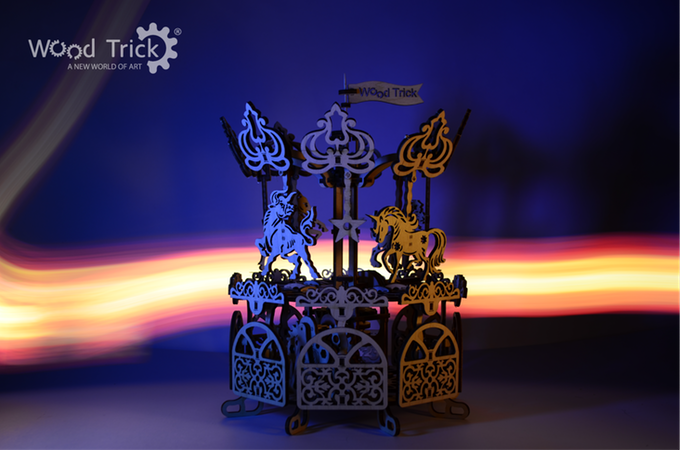 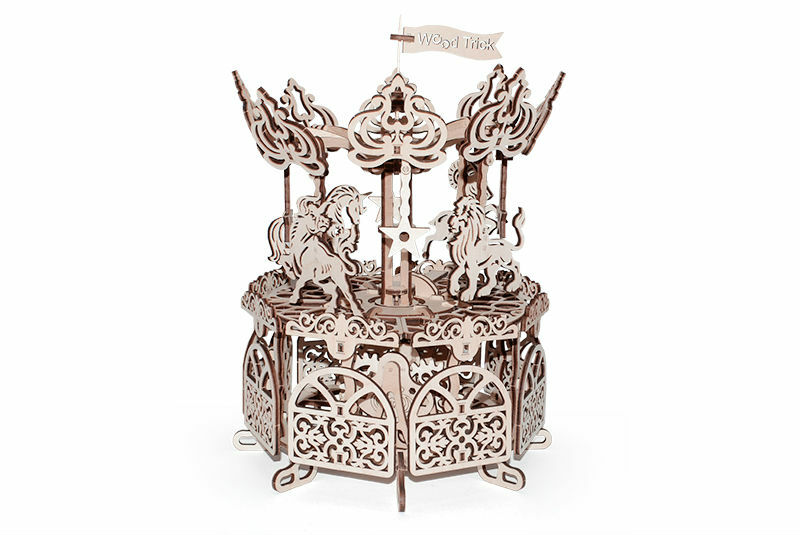 The Carousel is one of Wood Trick most popular sets, because it is a beautiful display piece that also actually works! 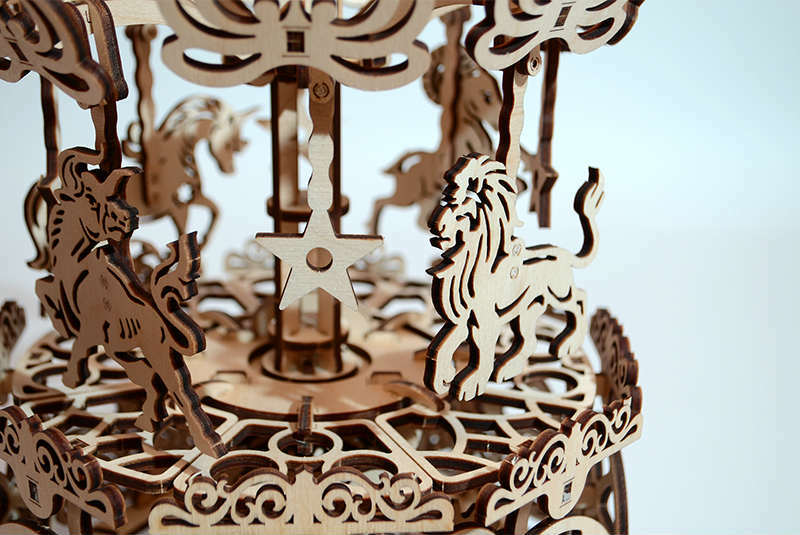 Without the use of batteries, the Carousel can be wound and actually moves in a circle like a real merry-go-round. In addition to being a piece that you will be proud to display, this is a piece that can awaken an interest in engineering and mechanics in your child!